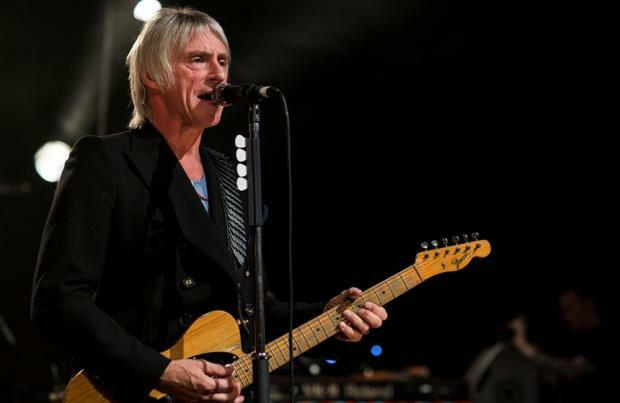 Paul Weller is a Skrillex fan. The 56-year-old rocker revealed his 26-year-old son Natt introduced him to the dance music producer's tracks, unexpectedly admitting he thought they were "great" and "wicked". He confessed: "My son played me a couple of tracks of Skrillex, as well, which I really liked. The couple of tracks I heard, I thought were great - the sound was great. I like that track called 'Bangarang', I thought that was wicked. And another one he did with Damian Marley." The former The Jam star - who is set to rock Glastonbury Festival next month - also explained although he is a self-confessed technophobe, he loves checking out new music online. He said: "I can't work the internet, but I watch YouTube on Apple TV. That is one of the great sides of the technological revolution. It's great for that - all of these amazing clips that I've never even heard before." And although he isn't skilled at using the latest gadgets, Paul has started to use new technology because he knows it will make his music even better. Speaking about the impact revolutions in production equipment and software have had on his forthcoming album 'Saturns Pattern', he told Shortlist magazine: "I have trouble working my f***ing mobile. But there's stuff we're doing on this that you could just never have done on tape. But it's just happened that digital recording has got so much better in the last five years - it's the same with digital photography I guess - so I've learnt to embrace technology."